New Graphene-infused Dual Soft Fast Core with a new, larger inner core maximizes compression energy while minimizing driver-spin and promoting high launch for long distance. Premium dual-core construction promotes more distance off of your longer clubs, and more control off of mid-irons, short-irons and wedges. Thin ultra-soft Tour Urethane Cover feels fantastic and generates shot-controlling, stroke-saving spin on pitches and chips. The fast SubMantle, soft Tour Urethane Cover, and low compression core combine for unparalleled feel. 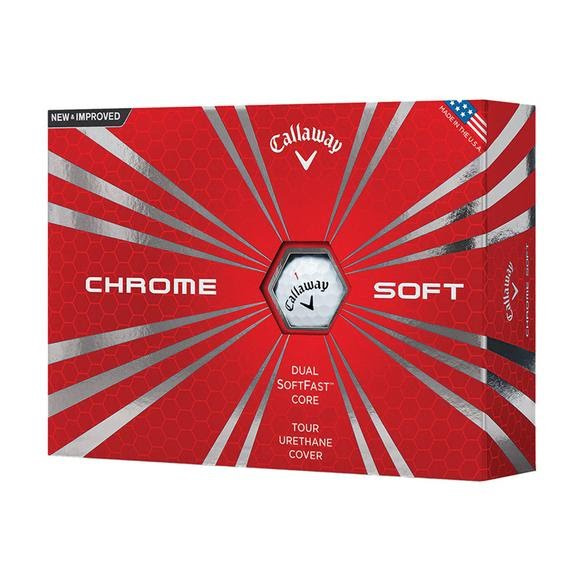 Softer golf balls compress easier on off center hits for incredible distance all over the face.